Though the name Noseworthy has disappeared from the list of families now living in St. Jacques the family has not disappeared without a trace. There are at least four houses still standing where Noseworthy members once lived. John Noseworthy moved from Harbour Grace to Belleoram and then to St. Jacques with his wife Phoebe around 1900. They had twelve children. One of their daughters, Netta, married Joseph Johnson of Stones Cove; originally from Jacques Fontaine. 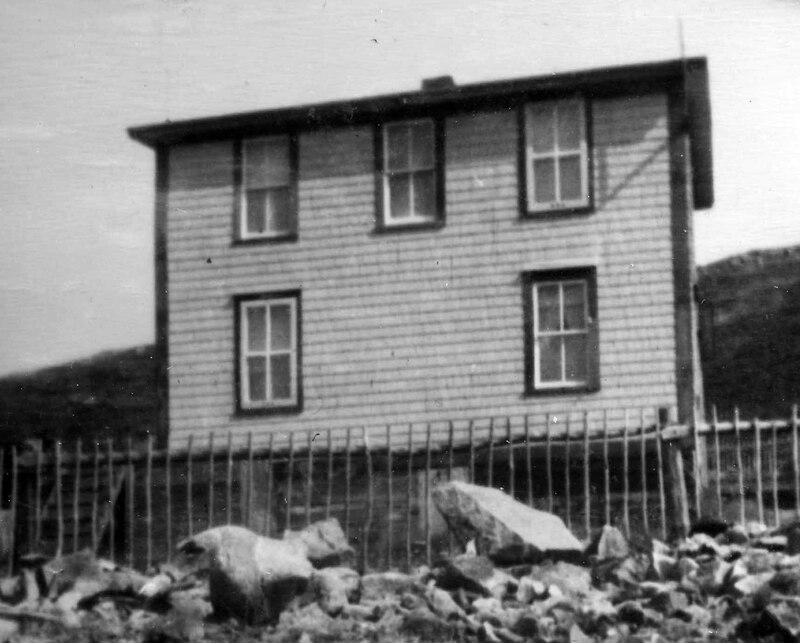 Joe Johnson built a house for his family from materials he had acquired from dismantling another house elsewhere in Fortune Bay; a common practice at the time. The photograph of the Johnson home on the left was taken in the early 1950’s. It is through this connection we find James Johnson, retired naval officer of the Royal Canadian Navy. James or Jim as he is variously know to family and friends alike is the youngest of two sons born to Joe and Netta. Though Jim and the rest of his surviving family moved away from St. Jacques in 1951 to take up residence in Halifax Nova Scotia following the death of his father, he has maintained a close liaison with current and former residents of his hometown. Every piece of news about St. Jacques is welcome to his ears. Near his telephone stand at home is a list of numbers of current and former residents who Jim finds time to connect with from time-to-time. I first met James Johnson in the early 1980’s while residing in Halifax. Since then I’ve come to know the stories of his childhood and those of his working life. Jim can keep you listening and intrigued for hours. Ask about what life was like growing up in St. Jacques and you will hear of how in 1944 at the age of nine, at the request of his father who had suffered a stroke, he was sent to English Hr. West to acquire the materials to build his father’s casket. Children grew up fast in those days and Jim was no exception. At age fourteen he dropped out of school to work in Edgar Dyett’s Herring Factory for ten cents an hour in an effort to support the family. A year later he was working at John Marshall’s fish plant in Belleoram for thirty-five cents an hour. Jim served on ten ships and in five establishments during his career; some more than once. He retired with the highest non-commissioned rank in the Armed Forces – Non-Commissioned Officer, First Class (NCO) which he held for the last eleven years of his service, serving on his last two ships as Senior Engineering Chief. His last posting was as Divisional Chief of the Nuclear, Biological, Chemical Warfare and Damage Control School in Halifax. 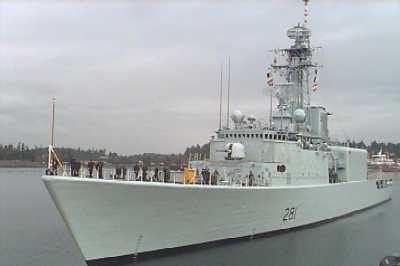 One of Jim’s stories tells of how he served as Petty Officer 2nd Class on the HMCS Victoriaville, the same ship that Captain Lester Hickey from St. Jacques commanded, when the German submarine U190 surrendered to the Canadian Navy off the Grand Banks of Newfoundland at the end of WWII. During his career Jim visited in excess of thirty-three countries. He served on both sides on North America in the Pacific and the Atlantic Oceans and served as far north as Resolute in the Northwest Territories of Canada. During his career several highlights stand out. 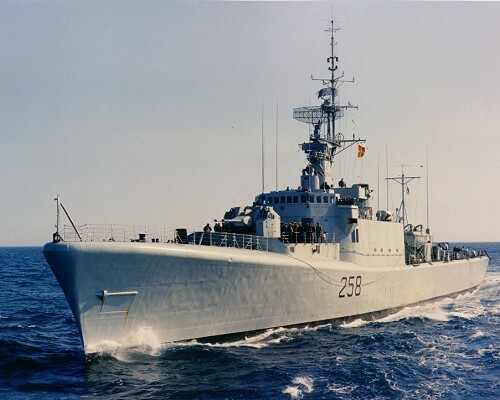 Among them was a posting on the HMCS Huron as Last Ship for the Governor General and Staff for his visit to the Baltic Countries in the 1960’s. 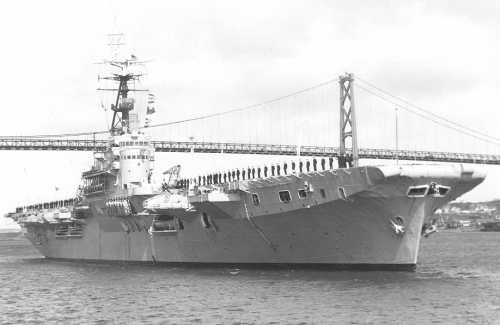 He found himself aboard the HMCS Magnificent in Egypt during the Blockade of the Suez Canal in 1955-57 and as host ship to Queen Elizabeth II on the HMCS Kootenay in 1959 when she presided over the opening of the St. Lawrence Seaway. Jim was On Station (ready for deployment) in the North Atlantic aboard the HMCS Victoriaville during the Cuban Missile Crisis of 1962. After retirement Jim was hired as Chief Engineer of a building in Halifax where one of the side jobs was a special constable with the Halifax Police Department. Today James Johnson and his lifelong supporter, his wife Glenda, spend their time between their home in Halifax and a farm owned and operated by his son in Lunenburg County, Nova Scotia. Jim’s interest in Newfoundland extends well beyond his hometown. He has always been a supporter and mentor for other Newfoundlanders making their way in the Canadian Navy. A particularly proud moment of his post-Navy career occurred when he was informed by award winning Newfoundland songwriter Bud Davidge that he had written a song about the almost forgotten symbol of Memorial Day in Newfoundland and Labrador – the Forget-Me-Not flower. Jim had long lobbied Davidge to write such a song by providing him historical background information and constant encouragement to do so. Below is a You-Tube video of The Little Blue Forget-Me-Not as recorded by Bud Davidge. You can read the lyrics to this song here accompanied by explanation of some of the background to events mentioned in the it. 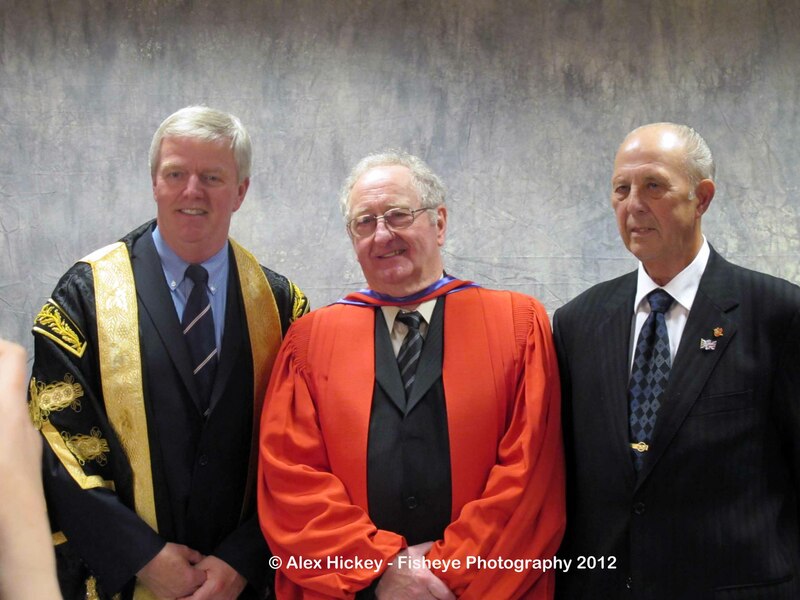 When Bud Davidge was awarded an Honorary Degree by Memorial University for his contribution to Newfoundland and Labrador’s musical heritage in May 2012, he acknowledged in his acceptance speech the significant contribution that James Johnson made to his writing of the song. In the audience, unknown to Davidge was his supporter and motivator, James Johnson who had traveled to Corner Brook for the occasion. It was at that event that Jim had the opportunity to meet another hero of his – General Rick Hillier. The three of them are in the photograph below. Meanwhile, back in St. Jacques, Joe Johnson’s house still stands. Across the street is the house his grandparents lived in as they raised those twelve children. Just west of that house is one that was owned by his Uncle Clem Noseworthy and further along a house in which his Aunt Minnie lived. 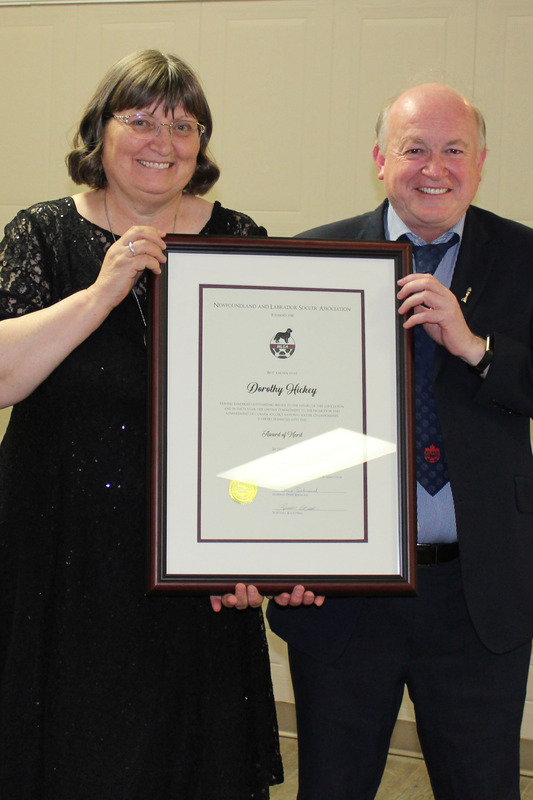 The rich history of the Noseworthy family in St. Jacques remains to be told. Jim Johnson’s story is but one of many.